Click on the tabs below to learn more about the techniques Catherine employs and how they work to restore your health. MYO refers to muscle and FASCIA refers to the connective tissue that holds us together. Myofacial pain comes from dysfunctional, hypersensitive spots in muscle tissue called trigger points. Trigger point therapy is not to be confused with Chinese acupressure. Trigger point therapy comes from strictly western medical applications and straight anatomy. 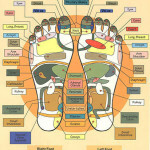 It is not based on meridians like acupuncture and acupressure. 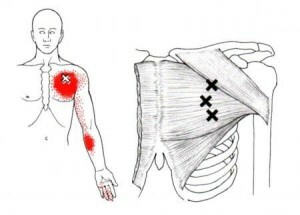 Trigger points are systematically located near the motor end plates of muscles and have been well mapped. Historically trigger point has been an extremely effective, albeit painful therapy associated with deep tissue. Myofascial Trigger point was the back pain therapy of choice for JFK while in the White House. I have found that Trigger Point Therapy performed after or in conjunction with a vibracussor and positional release techniques makes for a swifter and far less painful trigger point release. Positional Release Therapy (PRT) is an osteopathic method of soft tissue manipulation to relieve pain. Others common names for this osteopathic technique, with slight individual variations, include Strain Counterstrain and Orthobionomy. An osteopath named Lawrence Jones developed PRT. PRT is often referred to as Strain Counter-strain, a neuro-muscular technique that involves identification of a trigger point. 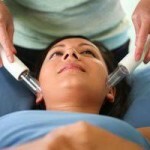 Stimulation of painful, lactic acid-filled trigger points “refer” a sensation of pain to some other part of the body. This elaborate neuromuscular mechanism is the result of nerve connections that developed embryologically between the skin, muscles, and organs. In PRT, the practitioner passively moves the patient’s body into a positional of ease that relieves the referred pain and then holds the holds position and directs the “release. ” This “release” can cause a cascade of other tissue releases, often referred to as the “unwinding.” This principal of putting people in the position of ease, or exaggerating the postural abnormality, follows the homeopathic principal of treating “Like with Like”. A common illustration of this principal is the shoelace. One would not loosen a knot in a shoelace by pulling both ends tighter (Direct Work). Instead, one would scrunch the knot to first let it unravel, then pull or stretch the lace (Indirect Work). PRT as taught by physical therapist Denise Deig seamlessly combines strain Counter-strain holds, Feldenkrais unwinding, and Physical Therapy Post Isometric Stretches to aid in myofascial releases. Reflexology is a unique system of foot massage based on holistic principles and springing from the same Chinese roots as acupuncture. 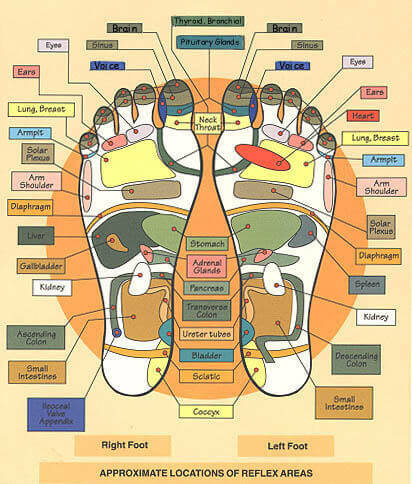 By locating and massaging the reflexology points on the foot, which relate to the different parts of the body, we can correct the imbalance of energy which can cause stress and ill health. Combines the LymphStar Pro and manual stimulation techniques to improve lymphatic drainage and increase lymph fluid flow. The LymphStar Pro an electromagnetic device that utilizes ultra-blue noble gas-filled glass tubes on the skin. The LymphStar is used prior to manual lymphatic drainage techniques. The two manual lymphatic drainage techniques I use are Chi Nei Tsang (Eastern) and Vodder Lymphatic Drainage (Western/German). The use of the Lymph Star greatly aids in converting thick, viscous lymph to a more liquid matrix before starting manual therapies. 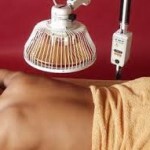 Lymphatic Enhancement therapy (LET) is relaxing, painless, safe, and generally enjoyable for most clients. Available since 1994 and now FDA approved, the LymphStar was originally developed to treat the lymphatic systems of children with cancer. 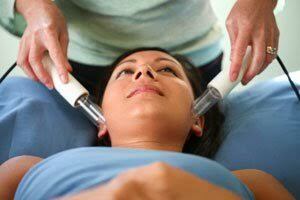 LET is particularly beneficial for clients on detoxification programs and with post-surgical edema. At Catherine Marks I practice two types of kinesiology, Touch for Health developed by Dr. John Thie, and Nutritional Deficiency Response Testing based on Dr. George Goodhardt’s work. Both of these related techniques are multidisciplinary in that they combine western anatomy and physiology with Chinese Meridian Therapy. Specifically, they correlate the strengths and weaknesses of various organs and systems with the health and function of specific muscles. – Hawkins, David R. (2013-08-01). Power vs. Force: The Hidden Determinants of Human Behavior, author’s Official Revised Edition (Kindle Locations 170-181). Veritas Publishing. Kindle Edition. In it’s simplest terms, Applied Kinesiology Muscle Testing is a biofeedback technique that is just now being explained by quantum physics and studies of the subtle body energy fields. Chinese Acupressure is where manual massage pressure or acu-dot magnets are applied to acupuncture points instead of using needles. The specific points are located along meridians and aid in opening pathways of “Qi” or life energy, helping to remove pain and congestion. Vodder Manual Lymphatic Drainage is a gentle, noninvasive, rhythmical European massage technique designed to accelerate the movement of lymphatic fluid in the human body. Strokes are always done in the direction of the muscle fiber because that is the direction in which the vessels run. The draining of lymph fluid with the Vodder method is often compared to “clearing of pipes” and is more mechanical in nature than, for instance, Chi Nei Tsang. ?The lymph system’s function is to carry off wastes, toxins, bacteria, viruses, excess water, etc., from the body’s connective tissue. Blockage in the lymph system or damage to lymph notes results in swelling (edema), congestion, and eventual physical problems and abnormalities. ? ?The Vodder Method is used to treat a wide variety of conditions, including acnes, burns, edema, inflammation, arthritis, and sinusitis. Because it stimulates a natural cleaning system to help the body rid itself of accumulated toxins and poisons, it brings tissues to a healthier state. ? There are four basic manipulation techniques used in Vodder Lymphatic Drainage that are not usually know to massage therapists. They are stationary circles, pumping, scooping and rotatory. These techniques are applied in a specific way, following the lymph pathways exactly unless there is a blockage. Normally, only the skin is moved, as 40% of the body’s lymph lies within the superficial layers. Recommended for stress, post exercise soreness, insomnia, pain and stiffness. Features a mix of Swedish, aromatherapy, acupressure, reflexology, trager. Recommend allowing 90 minutes. Recommended for sports injuries, headaches, TMJ, neck and back pain knee and foot problems, sciatica, scoliosis, tennis elbow and carpal tunnel symptoms. Features all or some of the following: Trigger point, deep tissue, barefoot, Touch for Health, Tui na. Click on the tabs below to learn more about the specialized equipment utilized in therapy sessions. The Vibracussor is a percussive instrument that differs from usual massager in that it uses piston-like up and down movement rather than back-and-forth movement. It creates comfortable waves of compression that can travel through the tissues affecting muscles and fasciaa thin sheath of fibrous tissue enclosing a muscle or other organ. and can often move blood and lymph quicker and more effectively than massage. Because of its many uses I often use the Vibracussor during Sports and Orthopedic Massage, for Scar Tissue Removal, with Trigger Point Therapy, and with Lymphatic Drainage. The TDP lamp is a heat lamp used to bring medicinal infra-red heat deep into muscles and fascia a thin sheath of fibrous tissue enclosing a muscle or other organ.. Used with meridian work like Medical Qi Gong, it can provide some of the tonification used at the end treatments. 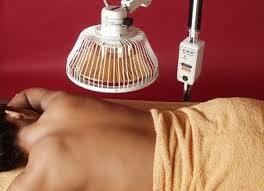 With sports massage it can heat and relax tissue prior to deep work. With NAET it can provide infrared heat to increase circulation along the spine during the relaxation part of the therapy. 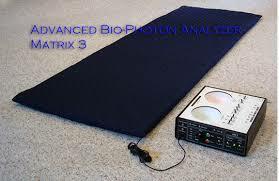 Advanced BioPhoton Analyzer (ABPA) is a subtle energy scanner that is connected to an infrared massage table mat. The ABPA scans low frequency waves from the body electric (rather than physical body), recording your immune response to any stressors or allergens placed in your hand or on the machine’s input plate. The ABPA sends this information back to the infrared mat for treatment. It can also imprint the information onto a special medallion for you wear and continue treatment outside the office. These coin-like medallions are the work of John Char, DDS and Nick Lamothe, PhD. 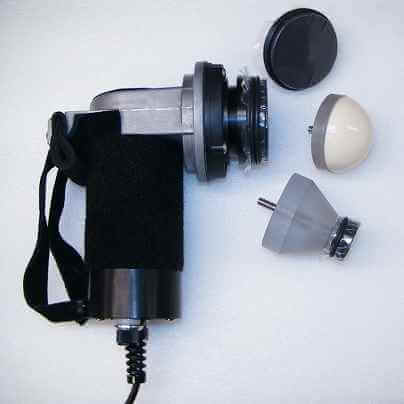 The BioPhoton device relies on electromagnetic waves longer and subtler than navy sonar. The BioPhoton is an example of a technology adapted from electronic warfare and used for healing, particularly of allergies, rheumatoid arthritis, and other autoimmune conditions. The BioPhoton and Vital Harmonies Coins are used with NAET treatments. The LymphStar Pro is an electromagnetic device that utilizes ultra-blue noble gas-filled glass tubes on the skin. The LymphStar is used prior to manual lymphatic drainage techniques such as Chi Nei Tsang (Eastern) and Vodder (Western), not as a replacement. The use of the Lymph Star greatly aids in converting thick, viscous lymph to a more liquid matrix before starting manual Eastern and Western therapies. Lymphatic Enhancement therapy (LET) is relaxing, painless, safe, and generally enjoyable for most clients. Available since 1994 and now FDA approved, this device was originally developed to treat the lymphatic systems of children with cancer. I use the LymphStar primarily for detoxification and post surgical edema. I practice both Eastern and Western forms of manual lymphatic drainage.